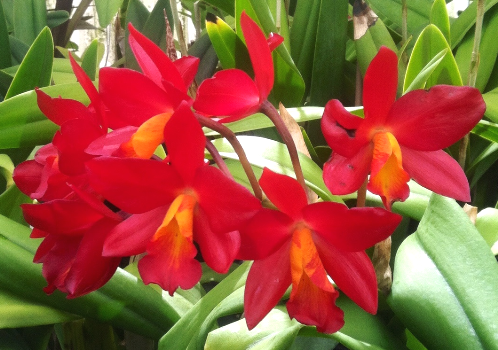 Fred Clarke, a frequent speaker at SCOS, has been growing and hybridizing orchids for several decades. 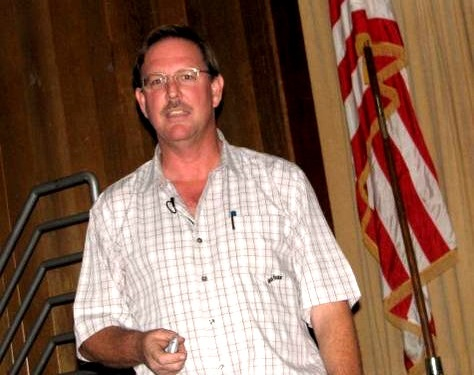 With long experience as a professional grower and manager in the horticultural industry, Fred applies these skills at his orchid nursery, Sunset Valley Orchids, located in Vista, California. 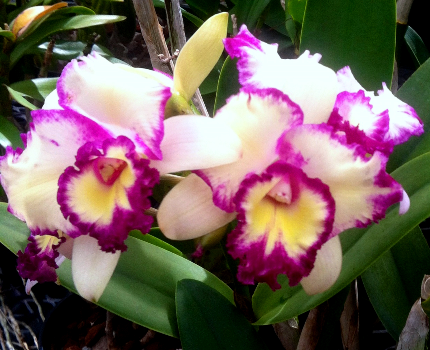 He is a passionate orchid grower whose curiosity in orchids is broad and varied. 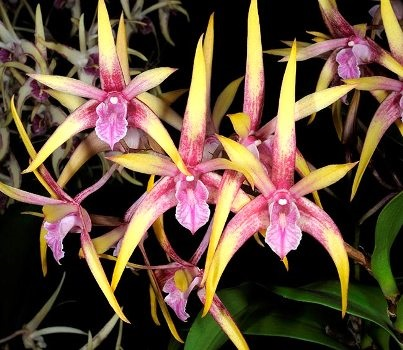 Although developing Cattleya hybrids has been his sustaining interest, he is also actively creating new Aussie Dendrobium and Paphiopedilum hybrids. 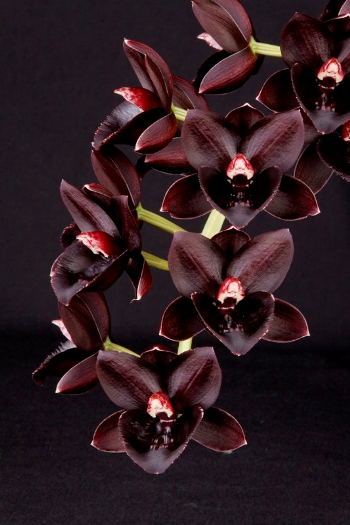 His pioneering work in Catasetum intergeneric hybrids led to the development of several notable hybrids, most famously the grex Fredclarkeara After Dark, which produced “the blackest flower ever witnessed”. This grex has received eight FCC’s, eight AM’s and the coveted ‘Award of Distinction’ on the first flowers shown for judging! 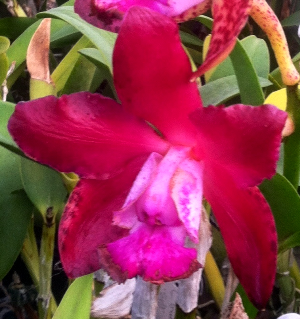 The tale of the "black orchid" continues (see our blog Orchids Today and Yesterday, November, 2018); the Catasetum intergeneric hybrids continue to produce new surprises. Fred is an Accredited Judge in the AOS Pacific South Judging Region. 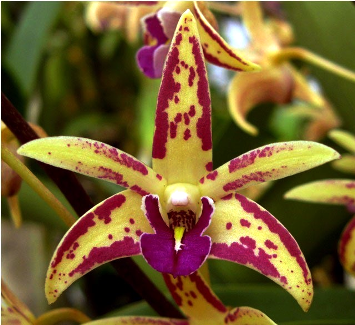 His plants have received hundreds of quality awards from the American Orchid Society. 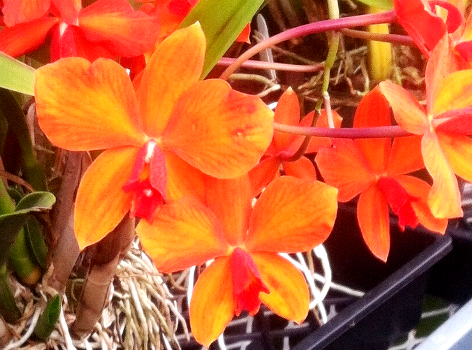 Orchid hobbyists turn out in droves for the open house and sales events at Sunset Valley Orchids. 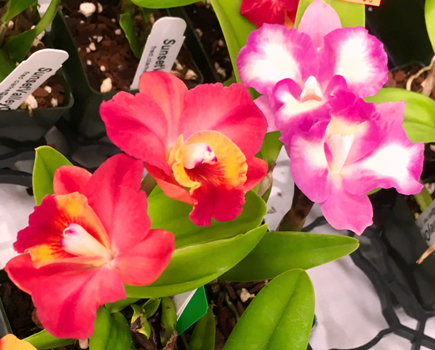 (The next open house at Sunset Valley Orchids is December 1, 2018 — see the SVO web site for details.) The greenhouses are full of temptations, but the fresh street tacos are always a big hit as well. 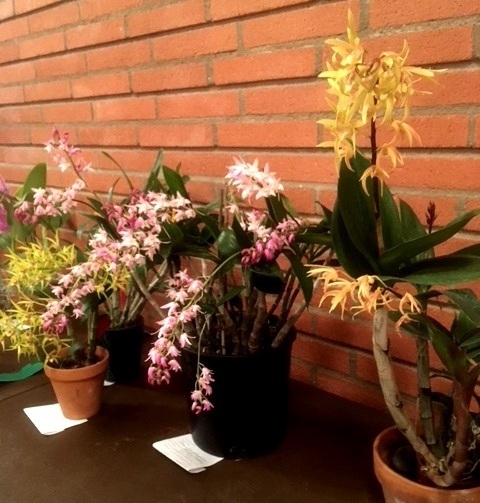 The selection of "mini-Catts" is amazing, a testament to how much Fred has changed the orchid landscape. 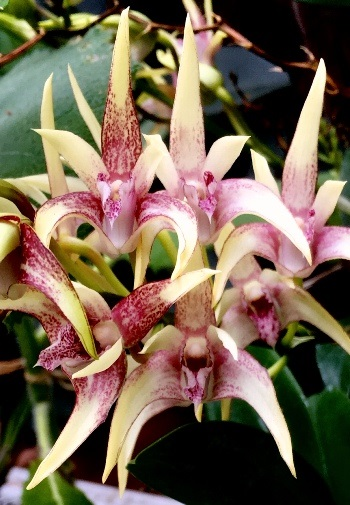 Most of the "Aussie Dendrobiums" are hybrids with Den. speciosum, which easily produces spectacular specimens outdoors in nearly full sun in our area. The new hybrids tend to stay much smaller than the speciosum parent, but it may take a few years before they reach their full potential. Den. 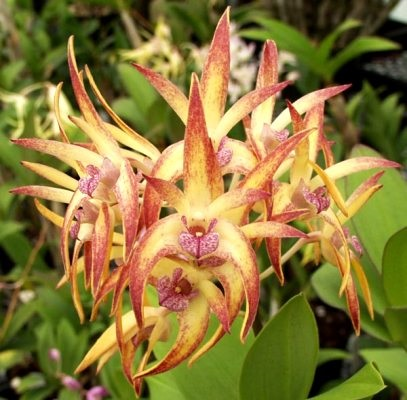 speciosum itself usually has cream or yellowish flowers. Specimens resembling huge shrubs, covered with big, drooping spikes with thousands of flowers, are often featured at the big orchid shows in Santa Barbara. The new hybrids have greatly extended the color range, from deep purple through intense yellows, often with generous spots and streaks. Aussie Dendrobiums frequently turn up at SCOS meetings on the plant table. 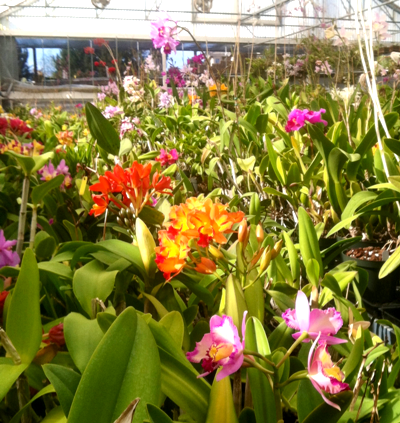 Many of these plants came from Sunset Valley Orchids. Flowers vary tremendously in color, shape, and size. Virtually all of them were grown outdoors by our members, with very little care. 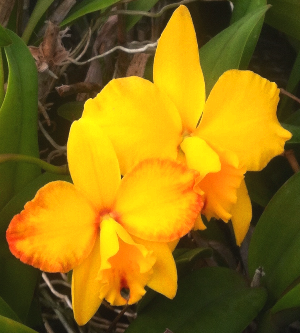 Copyright 2018 South Coast Orchid Society, Inc.